There's something magical about visiting the cinema in December. Wouldn't you agree? The weather where I live is certainly more than enough reason to stay warm and dry indoors. In addition, as we move steadily towards awards season so the quality of movies (with a few exceptions) improves. Why The Excitement: A new Michael Hanake film is always a noteworthy event… particularly one starring Isabelle Huppert. Why The Excitement: It’s time to get into the festive spirit! Bharat Nalluri’s film shows how Charles Dickens (Dan Stevens) mixed real life inspirations with his vivid imagination to conjure up the unforgettable characters in A Christmas Carol. Why The Excitement: Having read R.J Palacio’s book, I was a little wary of watching this film. I needn’t have worried. It is a wonderful story with a very important message. Warning: you will need tissues. Why The Excitement: From the trailer at least, The Disaster Artist looks to be an entertaining and intriguing behind-the-scenes look Tommy Wiseau and The Room - the best worst film ever made. Why The Excitement: I watched this film thanks to Odeon Screen Unseen and would recommend it highly. It is one of a kind… and it stole my heart. Why The Excitement: David Gordon Green directing Jake Gyllenhaal in a tremendously powerful true story. Need I say more? I think not. Why The Excitement: Of course a new Star Wars film is cause for excitement. However, Rian Johnson could well bring something fresh to this franchise. My prediction… it will do jolly well at the box office. Why The Excitement: Described by The Guardian as “a sublime rush of adrenaline and orchestral beauty”, I may have to brave my fear of heights and see this must-watch documentary about the world’s highest peaks. Why The Excitement: This animation about Ferdinand, a bull with a big heart, looks rather cute. And cute is good at Christmastime. 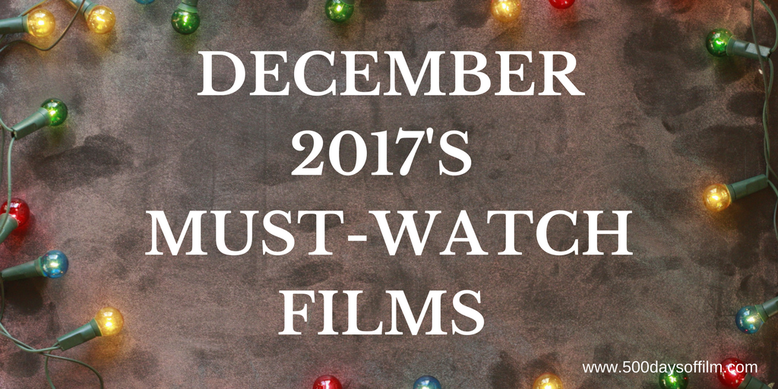 Why The Excitement: I toyed with adding this film to the list… I’m not exactly desperate to watch Jumanji: Welcome To The Jungle but, in the spirit of keeping an open mind, a family film at Christmas is always worth noting. Why The Excitement: Well, admittedly, my excitement for this film stems mostly from my feelings of good will for the original, but I can't deny that it is always great to see Bellas. Why The Excitement: The cast basically (and Hugh Jackman in particular). Hoping for an post-Christmas audience pleaser. Not too shabby December 2017. Not too shabby at all. What films on this list are a must-watch for you?